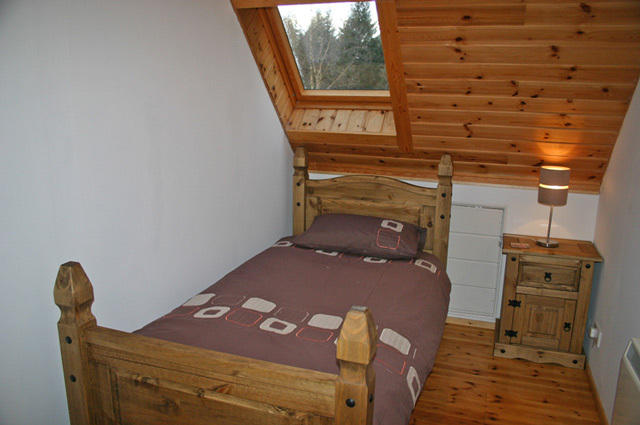 Wildwood - a true Finnish style detached square log cabin set within the small community of Auchterawe and the surrounding forest, offers quality spacious self catering accommodation for families up to 8 or would be an exquisite honeymoon location. Although Wildwood is set in a quiet woodland area, it is still within easy reach of the village. With walks along the River Oich and the Great Glen cycle route close by, you should pack your bikes and walking boots and enjoy the countryside around Loch Ness and the Great Glen. 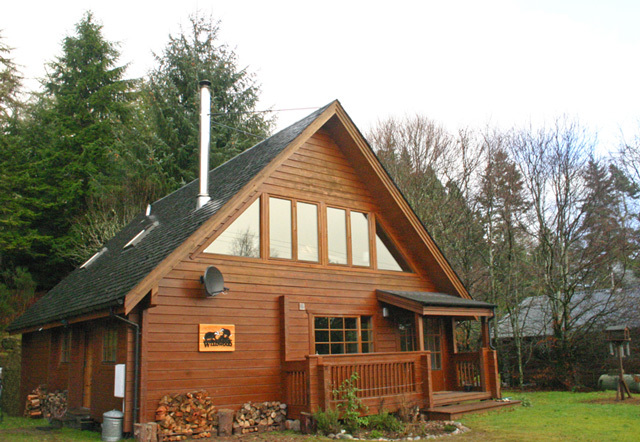 Wildwood nestles in the forests surrounding Fort Augustus, this is a tranquil and beautiful location, yet within 2 miles of the village and the most famous loch in the world – Loch Ness. There are many trails through the surrounding forests and alongside the picturesque River Oich. A leisurely walk takes you to Fort Augustus with the historic Caledonian Canal Locks – the gateway to Loch Ness. During the holiday season the village bustles with visitors and is a popular holiday venue, with its many cafes, restaurants and bars. As Fort Augustus is geographically right in the heart of the Highlands it makes an ideal base for your Highland holiday. The magnificent west coast, with its white sandy beaches, and the magical Isle of Skye are all within a leisurely days drive. Aonach Mor, where you can take a gondola ride and experience a spectacular view of the Great Glen and Ben Nevis is only about ½ hours drive. Winter skiing is available and downhill mountain biking in the summer months. A must is the Jacobite Steam Train journey from Fort William to Mallaig, which crosses the viaduct made famous in the Harry Potter films – one of the finest railway journeys in the world. For a spot of retail therapy, Inverness the capital of the Highlands is about 40 minutes drive. With the mysterious Loch Ness and all its secrets virtually on your doorstep you do not have to venture far. Take a boat trip on Loch Ness in your own quest of finding that elusive “monster” or experience the quiet and very beautiful south side of Loch Ness. With walks by the river or canal, along with the many forest walks you will find plenty to keep you occupied. The Caledonian Canal runs through the heart of the village so you can watch the boats manoeuvring the lock gates on their way through the Great Glen. 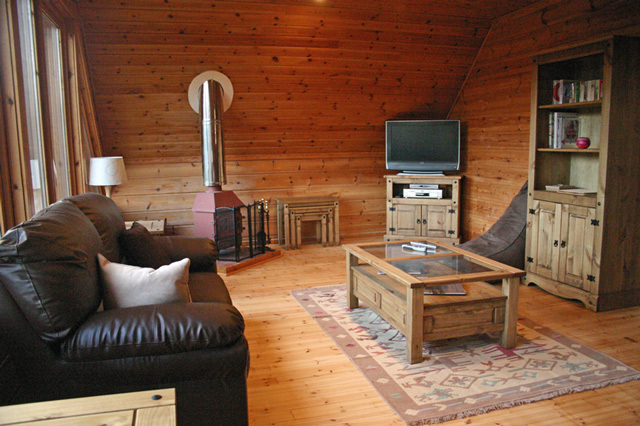 Wildwood is a private and secluded retreat ideal for the discerning holiday maker with deer and other wildlife right on your doorstep. Pine martens and red squirrels are often seen visiting the garden. 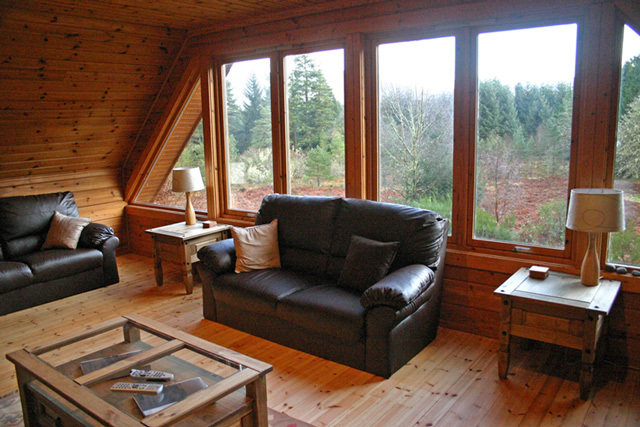 The lounge at Wildwood is located on the 1st floor to take advantage of the magificent views and has a wood burning stove for those colder evenings. Whether you are sight seeing, actively seeking adventure - or taking time out to relax from everyday life, (perhaps with the odd game of golf) this place will hold you in awe. 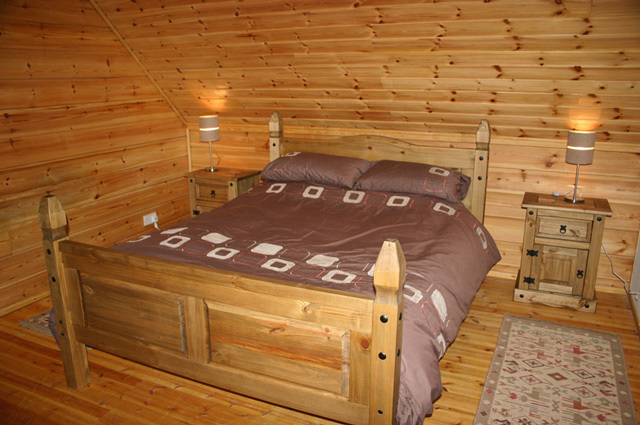 If your heart is set on a holiday in a log cabin and Wildwood is booked then why not have a look our similar properties that can be found on the Log Cabins page. Utility/boot room, views out towards the forest. 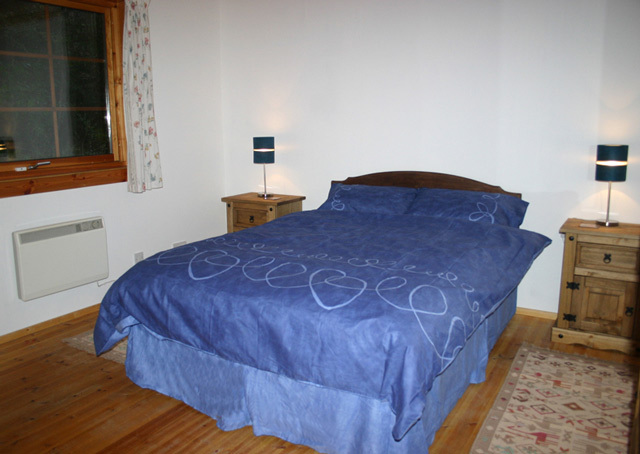 Ironing facilities and plenty of room for wellies, hiking boots etc. Kitchen/dining room. 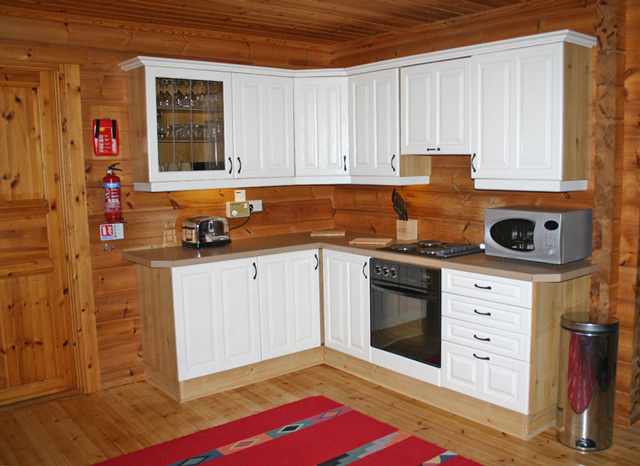 Fully fitted kitchen includes, electric oven, hob, and grill, dishwasher, washing machine, fridge and freezer, microwave, and all the usual utensils. Lounge with views toward the forest through the full width picture window and the wood burning stove in the lounge gives a lovely atmosphere especially during the winter. Two x 3 seater leather sofas and easy chairs, 32 inch LCD colour satellite TV, DVD, CD/radio player, collection of DVDs and CDs, books and a selection of games. Single bedroom with a pull out guest bed. Please note. Cot and high chair not available. One well behaved dog is welcome at Wildwood but please note that the garden is not secure. The lodge is exactly as stated. Woodland walks from the doors - ideal forest roads for cycling too. The single track road from Fort Augustus is much better than other single tracks in Scotland. So quiet and peaceful but with the TV to keep grumpy teenagers happy who have an allergy to fresh air - it catered for all. All the rooms were clean and fresh, no evidence of previous dog. 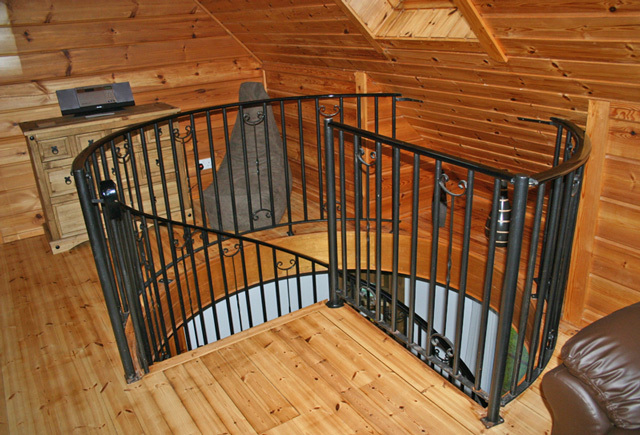 Perfect for star gazing with the darker nights. Really enjoyable.